Peace stabs the heart of worries and noise. Peace, like an ocean, rolls in all space. 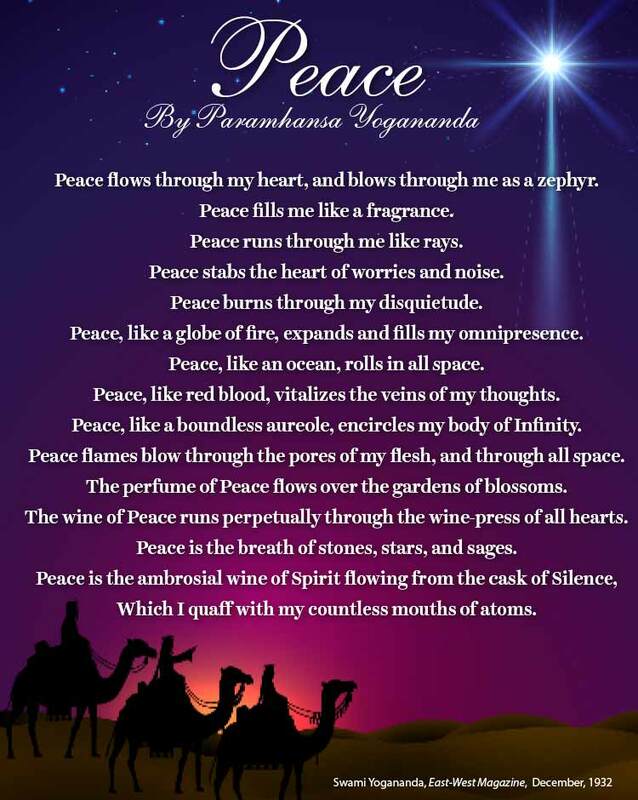 Peace, like a boundless aureole, encircles my body of Infinity. Peace flames blow through the pores of my flesh, and through all space. The wine of Peace runs perpetually through the wine-press of all hearts. You might also be interested in Daily Meditations & Affirmations to Tune into Christ Consciousness.